Hope you all had a wonderful week! (Honey, if you are reading this and it isn't Sunday yet, then consider yourself reminded :o) ) It is Friday, and that means it is time for a new challenge at Crafty Catz. This week, the lovely Dawn is hosting - oh, wait - that's me! Well, I can be lovely some of the time. I hope I picked a good challenge for everyone - after some deliberation, I decided on Fancy Folds (a card/project with more than one fold). I always have the best of intentions when it comes to straying from the typical folded-in-half card, but somehow that is always what I end up making. So, if you are like me, then this is your chance to break free from the rut. Having said that, when it came time to make my card, I could not decide what type of card to make. I finally settled on a fusion of gate fold and easel. However, before I show you the card, it does require some explanation. Around mother's day, I was brainstorming ideas for my mother-in-law's mother's day card and, being lovely, I thought I would ask my husband if he had any ideas or wishes for it. He pondered a brief moment, and then replied that he would like an image of a toddler bent over in half with his hands on the floor and behind sticking up in the air. What??? Really? So, we are working on potty training our son, but I'm pretty sure his mother wouldn't have wanted a card with a kid in the 'wipe my bum, please' pose for mother's day. And, does such a stamp even exist? So, I try to reason with him and get him thinking in another direction - any other direction. Being brilliant, I ask him what he would want on a father's day card. He pondered a brief moment, and then replied that he would like an image of a toddler bent over in half with his hands on the floor and behind sticking up in the air. I gave up. But, wouldn't you know it - a stamp like that does exist! Well, close enough - the teddy is probably toddler aged. Papers: Bazzill card, 300g hot pressed watercolour paper, Bo Bunny - Blast Off! Other: ribbon from my stash, Fiskars mini star punch, Marvy tag punch, shape on gate fold from Cricut Songbird cartridge, shape on inside with Penny Black image was created in SCAL2, sentiments all computer generated. I think that is all! I hope you are able to join us this week for our Fancy Folds Challenge. If you are looking for more inspiration, be sure to check out the rest of the DT's gorgeous cards - their links are all on the side bar. We are sponsored by The Paper Shelter this week and one lucky participant will receive a $15 gift certificate to their store! If you are still with me now, thank you so very much for stopping by and for taking the time to leave a comment. I love reading them, positive or constructive and it gives me a chance to pop on over to your blog too. Have a great weekend! Adorable card!! 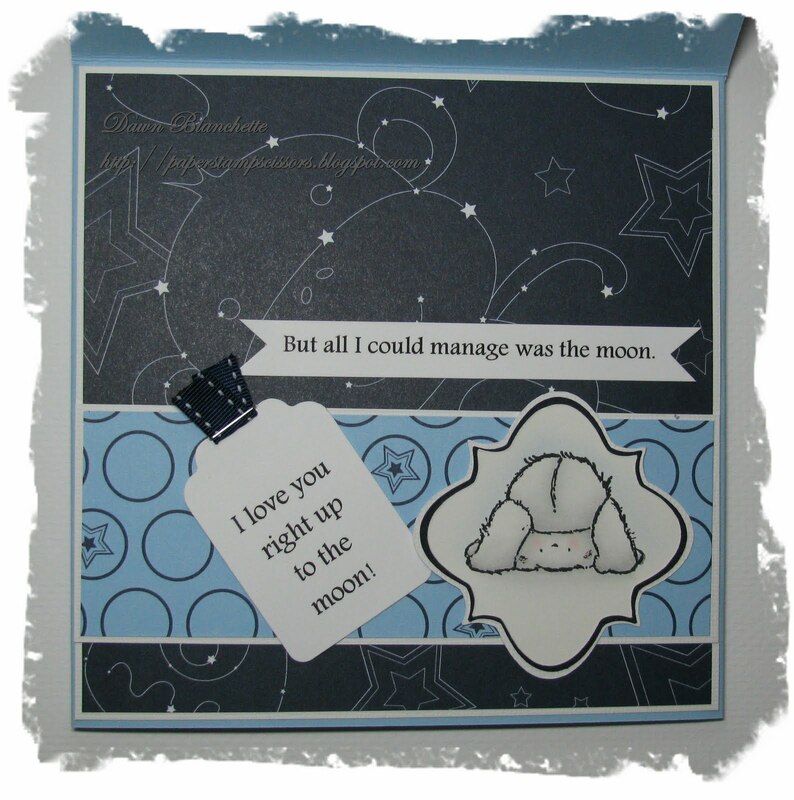 Thanks for playing along with us at Crafter's Companion Challenge Blog!! This is just ADORABLE! 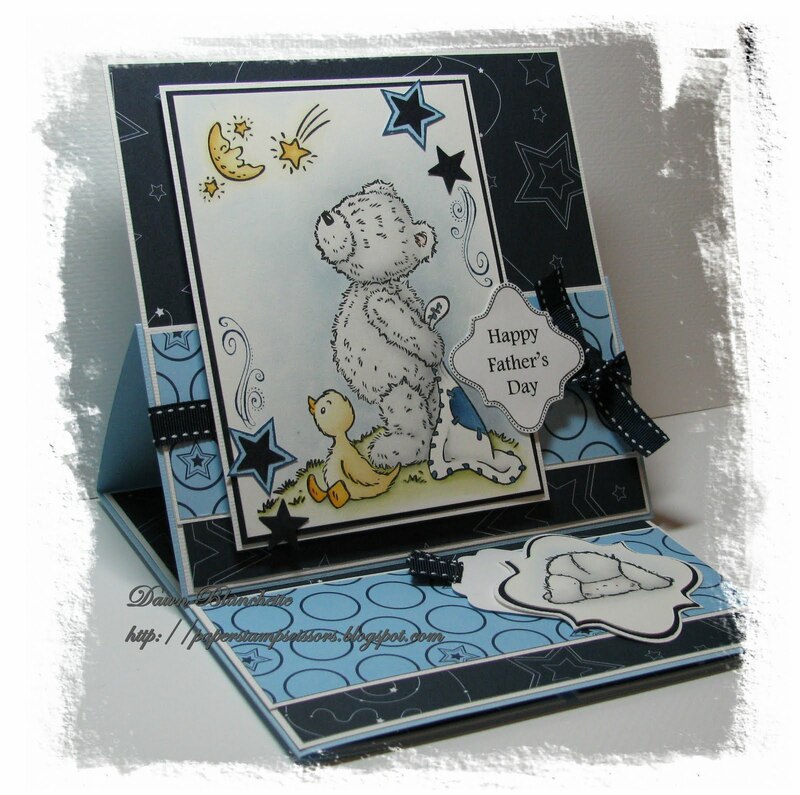 Thanks so much for playing along with us for the June challenge over at Crafter's Companion Challenge Blog. Ha, ha, ha....what a FUN card! OMGosh I love the sentiment perfect with the sweeeeeet image. Love the colours and papers too! Thanks so much for joining us at Simon Says Stamp Challenge! Adorable card!!! Thank you for joining us at the Crafters Companion Challenge blog! 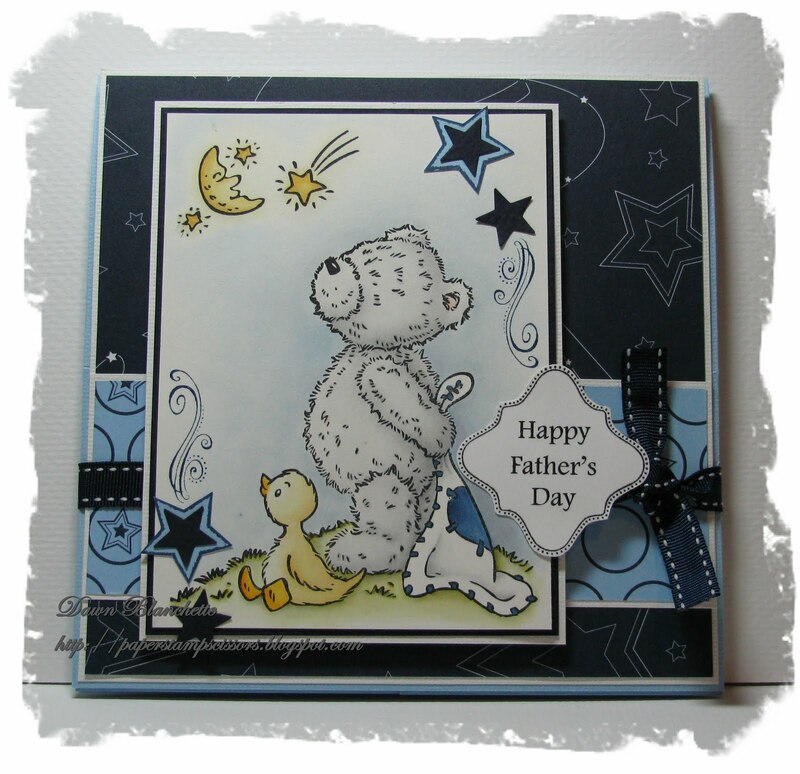 OMG - I love your card - bears are my fav! What an awesome card. Thanks for entering the Crafter's Companion Giveaway. Oh I love it! That is the cutest Popcorn stamp :) I love the mix of folds, and what a great manly color scheme. Thanks for joining us at the CCCB!